We’re your #1 source for all iPhone 5S repairs in Perth. We can even fix your device, often in only 1-hour, and our iPhone 5S screen replacements are now just $89! Our convenient stores locations are both north and south of the river, and with over 30,000 customers served since 2009, Phone Ninja is the brand more customer’s in Perth trust. We also provide a price guarantee, as well. 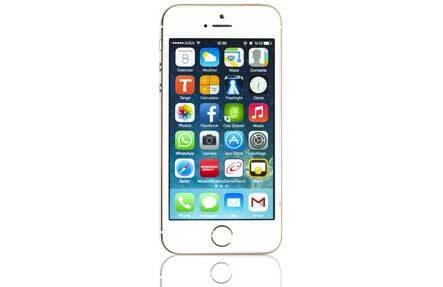 If you find a cheaper price on the same iPhone 5S repairs in Perth, we’ll beat it, see terms & conditions. It’s as simple as that. Thankfully, unlike other repairers, you should keep your data, so you’ll won’t have the hassle of restoring your contacts and photos. So when you find yourself in need of a repair, you’ll be happy to know that we offer the same outstanding quality parts and customer service at all our Perth stores. Often, we’re even able to provide repairs for the iPhone 5S on the spot, so drop into any of our stores, or contact Phone Ninja today for a quote/repair! Apple routinely outdoes itself, with each new iPhone generation bringing something new to the table. The iPhone 5S is no exception to this rule. Unlike other iPhone models, the iPhone 5S doesn’t share any components with its older cousins. Thankfully, we’ve sourced all the components you’ll need for any iPhone 5S repair!